Mashrabiya Lattice articulates new visual possibilities in layering, minimalism and pattern while investigating how privacy within public space can be represented through sculptural forms. Kovacsy’s wooden assemblages replicate the iconic aesthetic of lattice screening. When the verandah was embraced as a defining architectural element in Federation Australia, lattice was commonly used to partition off the porch or garden. However lattice, as understood through a visual Australian vernacular, has a lengthy history that’s not easily recognised in its popularised budget aesthetic. The ethos of lattice is arguably derived from the Mashrabiya architectural window element, a recognisable architectural form particular to countries of Arabic heritage. The Mashrabiya is a type of screening facade designed to provide privacy and cooling for those inside a dwelling while allowing an inhabitant to look outside unnoticed or undisturbed. Their opulent traditional patterns were often finely crafted from stone or timber. The Mashrabiya Lattice series connects the contemporary symbol of lattice to its historical architectural origin while revealing new aesthetic possibilities. 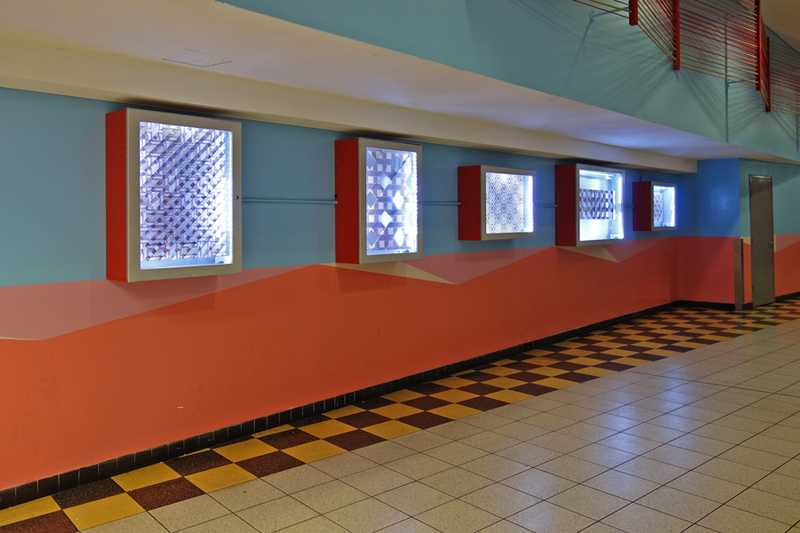 The work aims to use the relationship between the transparent yet dividing nature of the lattice screen to reveal interesting and unique crossover points within two cultures.